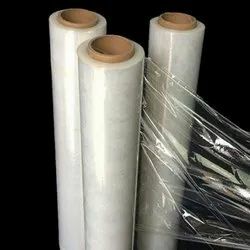 Prominent & Leading Manufacturer from New Delhi, we offer ldpe stretch film rolls, ldpe canal lining film, ldpe protection films and ldpe stretch film packaging roll. 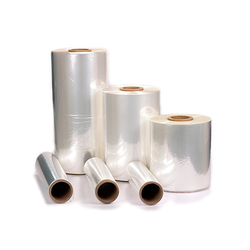 Our range of LDPE Stretch Film Rolls is used for packaging various products. These are highly stretchable plastic films and are wrapped around items to protect them from any damage. Manufactured using high grade plastic, our range of Stretch Film Rolls is known for its strength, cling, clarity and tear resistance. kinds of shapes and sizes. POF with good function of environmental protection, harmless and nonpoisonous, can substitute PVC film, especially used in packing of food, medicine and exports. 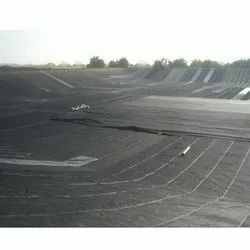 We are one of the manufacturer and supplier of LDPE Canal Lining Film. These offered ranges are highly demanded in the market. We feel proud to introduce ourselves as the well-known manufacturers and suppliers of LDPE Protection Films. ow density polyethylene films are soft, low barrier and good quality films and the least costly in all polymer packaging films. We offer wide range of LDPE films packaging roll as per our client’s requirement in premium quality. 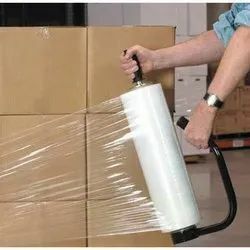 We have been continuously appreciated in market for providing best assortment of LDPE Stretch Film Packaging Roll apart from that we are providing it at most affordable price and in dynamic sizes in industry. We are contoured manufacturer and supplier of this LDPE STRETCH FILM in Delhi, New Delhi, Rewari, and Haryana Area. These films are widely used in various industries for packaging. Good chemical resistance and good water vapour alcohol barrier properties.